Ioannina (Greek: Ιωάννινα, Greek pronunciation: [io̞ˈɐ.ni.nɐ]), often called Yannena (Γιάννενα, Greek pronunciation: [ˈʝɐ.ne̞.nɐ]) within Greece, is the capital and largest city of the Ioannina regional unit and of Epirus, an administrative region in north-western Greece. Its population is 112,486, according to 2011 census. It lies at an elevation of approximately 500 metres (1,640 feet) above sea level, on the western shore of lake Pamvotis (Παμβώτις). 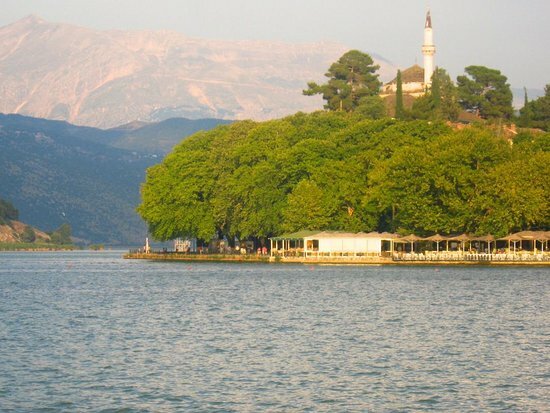 Ioannina is located 410 km (255 mi) northwest of Athens, 260 kilometres (162 miles) southwest of Thessaloniki and 80 km (50 miles) east of the port of Igoumenitsa in the Ionian Sea.